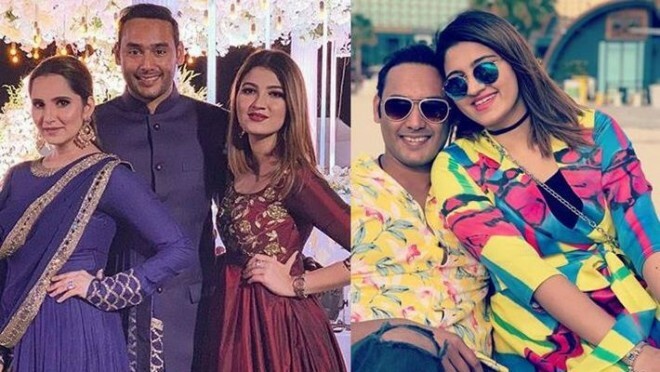 Former cricketer Azharuddin's son Asaduddin and tennis star Sania Mirza's younger sister Anam Mirza are soon getting married. Its is heard that both are been in love from a few days. Previously, Sania's sister Anam is married to Hyderabad based businessman Akbar Rashid in 2015. But from past few days they were aparted and recently applied for divorce. According to information from close friends of the two families, after the break up with her husband, Annam and Asad fell in love and information is that two may get married at the end of this year. Besides, pictures of both of them shopping in Dubai have been posted and they suggested that the marriage news is true. Recently, Sania also posted a photo on social media and giving us clarity. Sania, who posted her photo with Asad in the instagram, has a caption under the photo. Asad also posted a photo of Sania and Anam in his Instagram which was captioned as 'Two Wonderful Women'. This pics are circulating in social media that both of them were getting married.